Staged in Linz, the 2016 ITTF World Tour Hybiome Austrian Open will take place from Wednesday 9th to Sunday 13thf November, as Linz prepares to host the penultimate tournament the year's itinerary. The action at the Open is expected to excite spectators with many high profile names set to battle it out, and with two of the host nation's contestants being seeded in the top 32 of the Men's Singles category the home fans will be hoping for a successful week ahead. Austrian spectators will be hoping to see their representatives go all the way to glory in Linz; for two of the country’s players there will be no qualification round required to make an appearance in the main draw. Stefan Fegerl may have made a Round of 32 exit at last year’s Austrian Open, but this time around the 28-year-old heads into the event off the back of a last 16 finish at the Liebherr 2016 Men’s World Cup and will be the third seed in Linz. The other seeded Austrian to compete at the 2016 Open is Chen Weixing (20th), who will join Fegerl in the main event. Alongside the two Austrian competitors who move straight into the main draw, there are 12 of the host nation’s players who will compete in the Men’s Singles qualification group stage: David Serdaroglu, Daniel Habesohn, Alexander Chen, Simon Pfeffer, David Vorcnik, Thomas Grininger, Maciej Kolodziejczyk, Christian Friedrich, Michael Trink, Christian Luginger, Krisztian Gardos and Narayan Kapolnek. The 2015 Austrian Open saw a strong performance from Daniel Habesohn, reaching the last 16. Will one of the host’s representatives manage to progress any further at the 2016 Open? Nigeria’s Quadri Aruna and Egypt’s Omar Assar will be looking to achieve a high-end finish in Linz, with the two players occupying automatic main draw places. Both Aruna, the no.6 seed and Assar, the no.21 seed, were involved at the 2016 ITTF-Africa Senior Championships in October, with Assar defeating Aruna in a seven game thriller to take the Men’s Singles final. 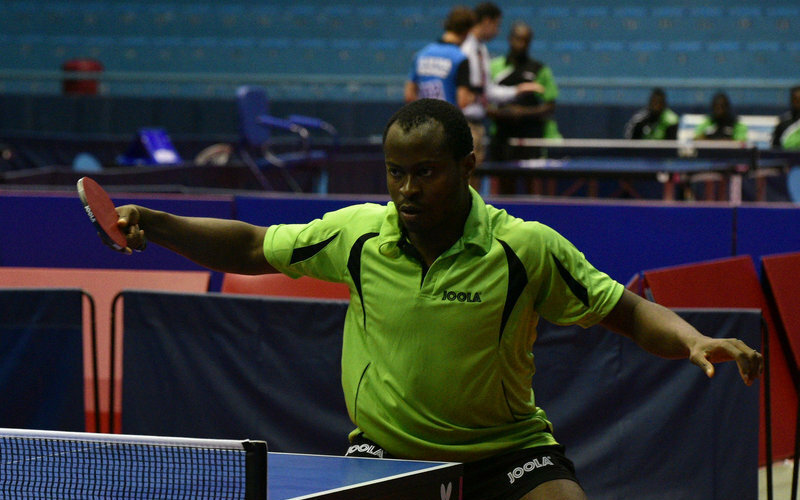 Despite Aruna’s defeat at the African Championships, the Nigerian competitor has had a spectacular year to date and was able to set an Olympic record with his quarter-finals finish at Rio 2016, becoming the first African Table Tennis player to achieve such a feat. Japan’s Jun Mizutani won the gold medal at the previous Austrian Open; now one year on Mizutani’s fellow countryman Koki Niwa leads the Men’s Singles seeding list at the 2016 event. Niwa’s most recent World Tour title in the category came at the 2014 Russian Open and he also reached the quarter-finals at Rio 2016 in the Men’s Singles event, but will Niwa be able to rise above the rest of the field in Linz? Maharu Yoshimura, the no.5 seed, who won a silver medal at Rio 2016 in the Men’s Team competition alongside Niwa with Japan, is also participating at the 2016 Austrian Open while Yuto Muramatsu the no.10 seed, Kenta Matsudaira the no.11 seed and Yuya Oshima the no.14 seed, are all named in the top 15.